Your wedding decorations tell your guests your style as a couple and it also add a special touch to your day's celebration. Wedding Favours Australia have wedding signs to suit all aspects of your big day. 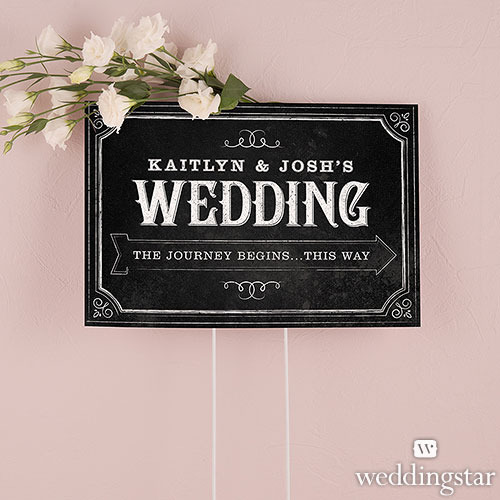 - Chalkboard Print Design Directional Wedding Sign. An elegant wedding signage that will suit your Vintage style wedding. 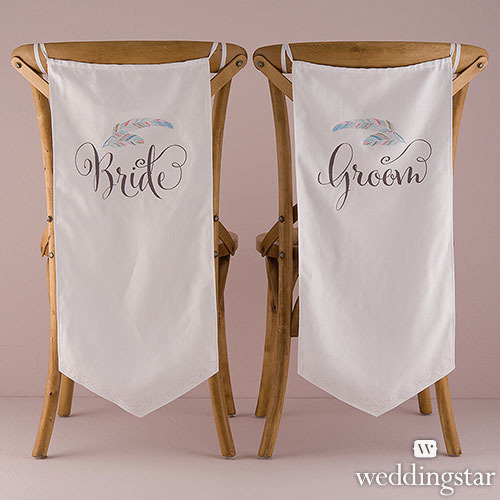 - Feather Wimsy Bride and Groom Wedding Chair Banner Set. A beautiful way to decorate the Bride and Groom Chairs. This would make a great addition to your wedding photo shoot too! 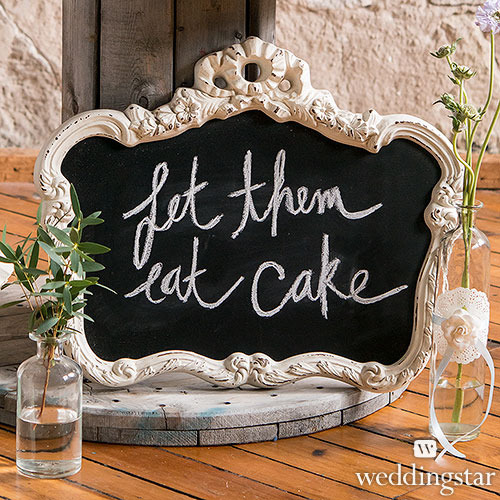 - Blackboard In Ornate Vintage Frame in Antique White Wedding Sign. You can use this to guide your guests to a particular destination or even welcome your guests with this beautiful signage and personalise it with your own handwritten message. - Regal Monogram Personalised Photobooth Backdrops. This backdrop will be great fun for your guests. They'll love taking photos with this personalised backdrop for sure. Just provide the fun props and set up a camera and that will surely get them going! 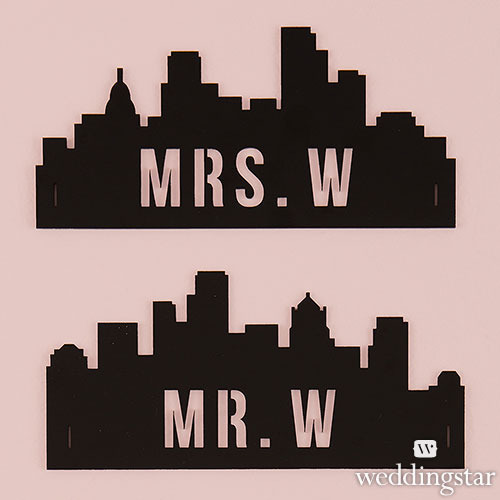 - Personalised Industrial Cityscape Silhouette Black Acrylic Mr and Mrs Sign. This great chair signage will add a modern touch to your big day!